If Ash could bring one of his previous Pokemon with him into the next region, who should he bring? Discussion in 'Pokémon Animé Discussion' started by NanoMoltres, Aug 30, 2018. Just a random thought that popped into my head earlier, but what if Ash brought one of his Pokemon from a previous region with him into the Generation 8 anime? We of course know that Pikachu will be by his side no matter what, but what if we got another Aipom scenario where the next gen introduces a new evolution for one of Ash's older Pokemon and he decides to bring them along with him? Or maybe we just see him bring along a 'mon that was underutilized initially and hasn't reached it's fullest potential yet? I'd personally like to see Ash's Gible get some more spotlight since it was caught fairly late into DP and we never got to see it evolve, I mean just imagine Ash with a fully evolved Garchomp absolutely wrecking everything that it comes in contact with. Mastered? It missed often because Focus Blast has terrible accuracy even in the games and the writers made a gag out of that, not through any fault of Scraggy. He should totally use Scraggy again though. I feel like the only reason he never evolved was because Axew didn't and the writers wanted to keep them as equals. It seems like Scraggy got the short end of the stick here since he did a lot more than Axew and I could have totally found an evolution for him believable if it happened at the end of BW. But yeah I'd really like to see him return for a while and evolve. Aduro, LilligantLewis and Twilight-Kun like this. 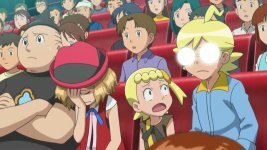 What are you talking about scraggy mastered focus blast by the end of second season in practice. I would prefer snivy, totodile, bulbasur, oshowatt or gible to come next season. These 5 have good evolutions and could become powerhouses. Honestly unlike others I don't even mind seeing aces again as long as they're able to demonstrate how much they've improved while at Oak's lab. Well, like in Johto and Sinnoh - old Pokemon should return in League. Like Lycanroc, Oshawott ( ), Sceptile, and - GRENINJA! He would never bring back any of starters for a long time, because the writers need to promote the newest generation of starter pokemon. However, Ash could travel with Pikachu and Scraggy (Phanpy-like situation). Gible is a way too much overpowered for a start of jorney in the new region (Draco Meteor). It would be pretty cool, however, if Ash evolves totodile, bayleaf, quilava or pignite. 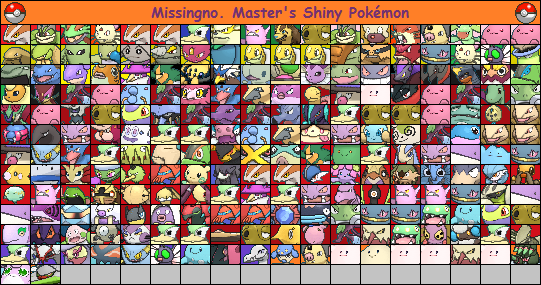 I think I'm gonna join the Scraggy crowd here, though I'm probably biased considering Scrafty is one of my personal favorites. Still, it'd be nice to see the little dude get some more screen time and finally evolve. I want that he uses all sort of pokémons and let them bond. Like Greninja learns Totodile and Ossawoth new moves etc. It should be one of his Pokemon that hasn't been used to their fullest potential. My bias says Gible. But I think Totodile should reach it middle form like Bayleef and Quilava. Corphish evolving would be great because no one can use the "Ash can't have Dark types" excuse. Buizel could evolve too. I'm 50/50 om Scraggy, but I'd love to see Palpitoad and Boldore as they got the worst treatment. I say Gible. Poor thing was barely used despite being strong and it could easily be one of Ash’s best Pokémon after evolving. Draco Meteor could really help Ash in battle once it is under control. So much potential wasted because it was hardly used in battle. He already has a dark type in krokodile and greninja, just because they dont have dark type moves doesnt take it away there secondary types, they can do the same with crawdaunt as well and give it water type moves and possibly a ice beam or something. Gible, snivy and totodile are my 3 personal favourites I just like there fully evolved form. As for battling tough opponents like legendary or UB calibre he could bring in charizard, greninja or sceptile since I dont think anyone other than these tier 1 have experience to take out OP pokemon. I'm thinking either Scraggy, Palpitoad, Kingler, or Muk. Any one of them could use more screentime, and in the case of the former two, maybe even evolutions. Bring Snivy back and evolve her fully. Bulbasaur, so it can finally show the fanbase its Ash's one and only godly tiered Grass type (There is a reason he used Bulbasaur over Sceptile against Brandon). Totodile would probably be my second pick right behind Gible, he had such a fun personality and cute dance to boot. Followed by Buizel and Torkoal. It should be a Pokémon, that didn't got that much attention in the previous animes. A Pokémon like Muk, or Kingler, or Krookodile. Ooo, those are some good choices as well. What do you think are the chances of any of Ash's Alola Pokemon carrying over? I'm a little behind on Sun and Moon, but I heard Ash caught a Poipole recently.